Do you have the gun coverage that you need? Your firearms are only covered against named perils. You are limited to only $2500* if the loss is caused by theft. On your current policy your firearms collection is not properly insured. 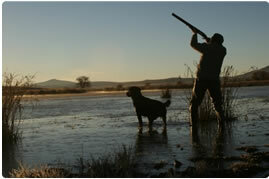 Crosby and Crosby Insurance will make sure your firearms/gun collection is properly insured. We offer an all risk firearms coverage that provides coverage for all risk. That means your firearms will be covered for any risk. We can insure a specific firearm for a stated amount or a collection for a blanket amount and that limit would include loss due to theft. Your firearms collection will be properly insured with Crosby and Crosby Insurance Services. "Having a relationship and knowing I have the right coverage is worth everything"
"I never had my home my auto and my boat all with one company. It is much easier"
Looking for a discount? From teachers to new home credits Crosby and Crosby can provide you the best rates along with the coverage you need.